May | 2011 | Virtual Assistant Inc.
Link building is a process of creating inbound links to another website. There are lots of link building strategies like social media, networking emails, twitter marketing, guest posting, forum and blog commenting, and article submission. Many link builders have disregarded article submission as one of the strategies. Yet, it plays an important role in link building. Article submission directories such as Ezine Articles and Article Base have page ranks of 6. This means that if you have links on such websites it can help generate more traffic, increase link popularity and gain quality back links. 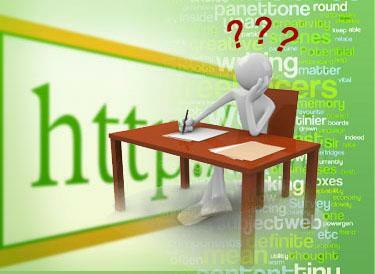 It can be daunting to submit articles when you are trying to do link building over a multiple number of sites. There are lots of websites in the Internet that offer article submission softwares in an affordable price yet there are some that offers it for free. Today, with the latest Google panda updates which targets duplicate contents, a trick like having your article republished by hundreds of sites does not longer exist. What you need to do now is to write a unique article and submit it to only one article directory preferably to Ezine Articles. Ezine is still an excellent site for unique content articles. It can drive direct traffic and it can also lead to your content being referred in other post and articles along with proper credit. Traffic is the most important thing to people who have websites and blogs. If you want your product to be known, you have to drive more traffic. More traffic means high link popularity which eventually leads to better ranking opportunities. Writing an article can be a tiring process. Its not every day that you see yourself in the mood to write about a particular topic. It takes a while before you can start squeezing your brains for the right words and phrases. If you’re one of those people who hire others to write for you, well you are indeed fortunate. If you already have your article to be submitted, make sure that it has quality and original content. It should contain enough keywords to market your product. In article submission, you need to position your article in the right niche, category, and market so that it will be instantly noticed. Submitting an article into a directory can be an easy task yet it should be posted properly because the manner of posting an article may sometimes affect the interest of a reader. Adding an image or video that is relevant to the subject you are writing may also attract the readers to read. If possible you can add the links to an image or video. Lastly, the most important thing in article submission is you should always remember to leave your links on it. 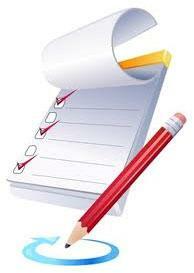 Article submission directories provide a resource box wherein you can leave your links. Do not put the links on the body of the article. It is important that you follow the guidelines of every article submission directory. For more information about link building and article submission, you can visit Link Building Services. Writing is one of the means of communication since it started to exist. It’s the excellent way to communicate things that are not best expressed by spoken and body language. Writing has been a part of many important things that are happening to the world such as, wars, revolution, innovation, peace etc. It’s not only used for the organic world alone, but also to the cyberspace, that in a way, have taken over a very big part of each and every one of us today. We cannot deny the fact that one of the foundation of the cyberspace or commonly known as Internet is writing. Writing that has Content, Ideas, Mind Set, Insights, Opinions and Factual Information are things that a writing in the Internet may contain. Every content that sprung from a mind of an honest and creative writer will always come out as good as how it is expected to be. Just like in Internet marketing, if you are projecting the truth about your services or product, writing will never be a waste. 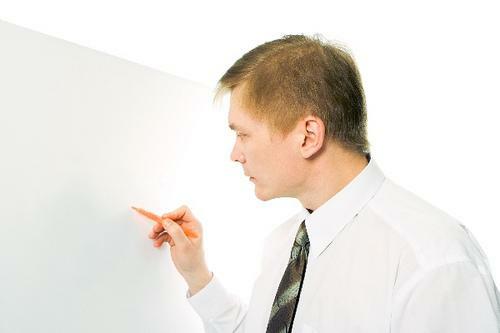 But what are the basic things to remember in Writing with a good content for Internet Marketing? 1. Understandable. For you to deliver the message properly, you must have the appropriate language for your target market. The nature and significance of the business should be delivered and understood basing on the target markets’ level of understanding. 2. Complete and Organized. The over-all element of the business should be included and organize content according to what is convenient to your customers. If your content is organized, it will cut the burden to customers in connecting and arranging scrambled contents at the same time having good impressions to customers. 3. Useful and Informative. After stressing out and organizing the ideas about the business, you can add up useful and informative trivia relating to your business. In that matter, customers will appreciate how vast your business can go. 4. Unique. Uniqueness triggers curiosity. As this happens, curious possible customers will be attracted to know and try your business. Giving a very high opportunity for possible customers to become loyal customers. All this together guides you in writing with a good content for Internet marketing. It is not limited to these standards. Topics that are in demand to write about nowadays is all about Social Media Marketing that includes twitter marketing, facebook for business marketing and seo articles. You, as a reader, business owner or customer, whatever you are in your life right now, are encouraged to step out and do something to succeed in Internet marketing through writing. SEM stands for Search Engine Marketing. The word Search Engine Marketing was first proposed by Danny Sullivan. 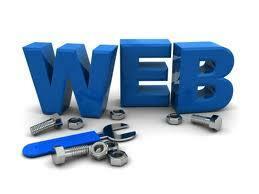 It is a way to promote website by increasing its visibility in search engines. 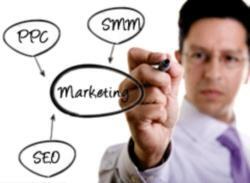 It includes marketing strategies like search advertising, paid search and most importantly, search engine optimization. A Virtual assistant provides SEM services to help any business online. Using SEM as a marketing tool for business online is very beneficial because there are a lot of competitors gaining entry to your industry everyday. A virtual assistant can help your business get ahead from these competitors by the use of proper SEM techniques. Not only that, but also with the help of proper SEM it can give relevant results for the users who often stay on search engines for shopping, research, gettng real-time updates…etc. With the concern of “indexability”, the main goal of a virtual assistant is to ensure that the website is not only search engine-friendly but also a user-friendly. How the website is relevant to user’s searches? Relevancy of a website requires a proper planning. A virtual assistant first determines the appropriate keywords for the site. After that, they use these keywords in meta data and in an actual page which includes its navigation, text, links, and alt tags for graphics. They also use the correct percentage and valuable keywords that are present in a certain page. And there is NO SPAMMING. Website and brand authority. Authoritativeness can be achieved by the popularity of a certain website. To increase the site popularity, a virtual assistant uses strategies like blogging, social bookmarking, social networking, forum participation or through online community participation. With these, a virtual assistant also believes that the number of quality backlinks are key to gain authority, thus increasing your search engine rank. As what I mentioned earlier, SEM also includes paid search. Paying is another way to attract visitors. This includes paid inclusion and pay per click (sponsored listing). Paid inclusion is done by submitting your site to web directories and you pay for a guaranteed inclusion in the directory while sponsored listing or pay per click are the ads that you can find in the right column of search engine. A good example is the box that says “Ads by google”. Why is search engine marketing very important to any business online? It’s because almost all the people globally use the Internet every day as a necessity to collect information or socialize. As entrepreneurs, you need to know where your possible customers are always hanging out. You must use the Internet to connect with your customer in gaining profit. SEM and SEO are almost the same, the only difference between these two strategies are their concentration like for virtual assistant which has a concentration on SEM is called SEM virtual assistant and for a virtual assistant which has a concentration on SEO is called an SEO virtual assistant. With this, you need a virtual assistant who could help market your business online in a proper and effective way. A virtual assistant who has an ability not only to help you on your business online but also to make your website an authority site, search engine-friendly and relevant to user searches. Virtual Assistants have been around for almost two decades now. Although it is an upgrade from traditional secretarial service, it is important to note the difference between the two. Whereas a secretarial service is focused and limited to general tasks, virtual assistance provides a vast range of services from administrative works to SEO services, like SEO virtual assistants, and many others that you can think of. Because of the different services offered by virtual assistants, a lot of people are outsourcing to hire one or a group of SEO virtual assistant to help them in their day-to-day business. They are professional service providers to outsource from that can play an important role in the growth and success of a business. However, just like any other business, successful outsourcing needs to have a strategic plan. Here are some tips that you might consider for a successful outsourcing to a virtual assistant. Because the VA industry has grown tremendously, there are many virtual assistants to outsource from. However, finding the right virtual assistant you would be difficult and would take some time to find. It’s uncommon to find that your first assistant can meet all your demands. Finding a good virtual assistant to outsource really takes time. A month is quite enough to outsource for your desired VA through outsourcing, just like as when hiring personal employees. Spend the first few weeks trialing several virtual assistants. From there you can select the VA that best meets your standards through outsourcing. Once you have found the perfect SEO virtual assistant you are looking for, effective communication is needed for a successful outsourcing. Communicate with your VA constantly through emails or using VoIP software like Skype. This will allow you to keep track of your VA’s current task status. This also gives an opportunity for both parties to clarify and give feedback to the tasks assigned in outsourcing. Hearing each other over the phone or Internet also gives you and your VA a sense of connection. Outsourcing some projects to an SEO virtual assistant can easily go wrong when minor details are overlooked. To avoid this, it is essential to have a task completed according to the given set of instructions instead of asking your VA to complete an entire task. Specific instructions lead to accurate results in outsourcing. Also, guide your VAs to projects by gradually increasing the number and importance of outsourcing tasks assigned to them This may take time but you will end up with stable and effective VA’s. Be the type of client that you like working with when you outsource. Treat your SEO virtual assistants with respect like how you would treat your co-workers and personal employees. Your virtual assistants will for sure appreciate it and treat you in the same way. Show some gratitude if they worked well with a project. A simple tweet saying thank you or an incentive will keep your VAs motivated. Hiring virtual assistants is like working with personal employees, the only difference is they work at a different side of the globe. A successful SEO virtual assistant outsourcing is just a step away when you follow the tips mentioned above. A survey is a systematic way of gathering desired information from samples or a group of individuals. To achieve this a researcher must go through a series of steps. 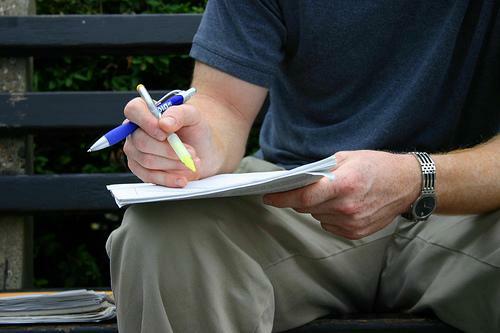 The most crucial of these steps is writing the questions. The success of the entire survey is dependent upon the appropriateness of the questions. Questions must be constructed in such a way that it is capable of extracting the desired data. The researcher must write the questions in a web survey in such a way that it is legible and relevant so that the respondent will not spend too much effort to answer just a single question. Also the type of question must be put into consideration. The researcher must know when to use a type of question. For instance when it requires explanation, a researcher can use the open- ended type, where the respondent can write his/her own answer. Questions must be placed in sequential order to avoid confusion on the part of the respondent. Respondents are motivated to answer the questions if it is placed in an orderly fashion. The order of web survey questions should be from general to specific. The researcher must know where to place the sensitive questions. Since every question is unique, there is no universally accepted manner of question wording. Yet there are criteria that can help in wording and structuring a question. The following are the criteria to bear in mind when constructing a question. Keep the questions simple and ask questions one at a time. However brevity is not about writing the web survey question the shortest way possible, its goal is to reduce the question’s length without losing its intent. Besides, the longer the question, the more confusing it becomes for the respondent. The wording in the question should not imply a sort of bias. The following are the ways to keep neutrality in the web survey question’s wording. Example: Google, the largest and the most popular search engine in the world has upgraded their algorithm to better serve its clients. What do you think about this? Replace with: What do you think about the latest upgrade in the Google algorithm? Don’t ask questions that cater to the respondents ego or pride because it brings them to a particular answer. Do not assume that the respondent is familiar with the specifications of the questions. Use words that are simple and easy to understand in a survey. Avoid technical jargons and concepts. Use the same definition of terms all through out. Avoid double negative expressions and double-barreled questions because it tend to confuse the respondents in the web survey. Furthermore, avoid universal words such as always or never because these words deter the respondents from answering. Ask specific questions and are not too complex and undefined in a survey. Do not use abbreviations and spell words out when necessary to avoid confusion. Avoid words like “often”, “generally”, “usually” etc. When writing survey questions it is of vital importance that the researcher must follow the aforementioned criteria in order to extract the accurate results. Social media marketing assistants (SMM assistant) are entrepreneurs who provide professional service and other specialized support services to businessmen from a remote administrative office, in an ongoing, collaborative professional relationship. They are entrepreneurs who work in the comfort of their homes. They are the boss of their own business. They enjoy every freedom they have as they have the full control of their business. While they need clients in order for their business to grow, they can still decide whom they want to work with. They typically have clients who they love working with and clients they will not work with again even if that same client will pay double per hour. So if you wanted to be in the top priority, then perhaps you would consider reading this blog. There are three things that social media marketing assistants look for in their clients. These three are the basis for labeling their clients as bad or good and whether they will be working for them again in the future. They expect their clients to communicate with them clearly and concisely, to be not strict and rigid with them, and above all they are expecting to have a professional relationship. SMM assistants expect their clients to communicate with them in a clear and concise fashion. Communication is of vital necessity throughout the entire partnership, so that waste of resources will be avoided. What are the resources that can be wasted when tasks or information was not communicated properly to a SMM assistant? First of all, time will be wasted on clarifying certain details that were vague during the giving out of tasks and instructions while a virtual assistant’s time is wasted on decoding obscure data. It is therefore highly recommended that the client must provide clear and concise instructions to the social media marketing assistant beforehand and ask the virtual assistant whether he has something to clarify. Another resource that may be wasted due to poor communication is monetary resources on the part of the client. When the virtual assistant spends an extra hour, the client will have to pay for that extra hour. SMM assistants expect their clients to show some measure of flexibility. It is noteworthy that virtual assistant and their clients live across different time zones. Their experiences within their individual time zones might be slightly or entirely different. While social media marketing assistants will do everything within their means, there are certain things beyond their control, so they will appreciate it if their clients will not be rigid and strict with them. By its very definition, SMM assistants are professionals, thus they are expecting a professional relationship with their clients. Professionalism must be observed at all times when clients deal with their SMM assistants. Aside from that, clients must always bear in mind that they are only outsourcing tasks to their assistants thus; they must treat their assistant as independent contractors. They would like it if they will be respected by their clients. While these are only three of the things that SMM assistants expect from their clients, there are other things that they wanted from their clients depending upon their agreement. A lot of the information that we receive is from reading something found in the Internet. If you’ve read some of the writing supposedly from athletes, celebrities, politicians, business executives, and other high-profile people, there is a possibility that you actually read the work of a ghostwriter. A ghostwriter is a professional writer who is hired by people to write blog posts, reports, biographies, stories, and business articles under the name of his/her client’s choice. In ghostwriting works are often credited to another person. Ghostwriting is another expertise of a virtual assistant. When writing, virtual assistant write for different types of people for any topic or genre. Ghostwriting is a good tool in promoting a business online, which is in line with content creation and marketing. Virtual assistant, is very aware of how effective a fresh and informative content marketing is for businesses. How can a virtual assistant help your business using ghostwriting? Well, a virtual assistant engaged in ghostwriting are willing to listen to their client’s ideas and can provide quality content based on those ideas that can drive people’s attention to their business. They should know about their client’s business, do a research about the topic and write according to their client’s interests. Hiring a virtual assistant for ghostwriting can guarantee you that the content is professionally written. If you need to release a new blog post based on the schedule, then it might be best to hire virtual assistants to relieve this task from your burden. Virtual assistants respect their client’s privacy and confidentiality. They understand that what they are writing is for their client’s reputation and for their client’s business brand. Once a ghostwriter virtual assistant is paid for their work, they can’t claim it as their own. Moreover, virtual assistants have their own writing style. But in ghostwriting they can capture the style and the essence on what and how the client wants to communicate to his audience. And for those who are interested to hire a ghostwriter, make sure you know exactly what you want. Know your target audience. And keep in mind that when hiring a virtual assistant, chances are they’re not living in your area, which means that a proper communication tool is very important.